Recently I've been putting more thought into my beauty/makeup routine. I still wouldn't describe myself as wearing a lot of makeup, but it's definitely more than what I used to. I found that I would apply a little makeup and like how natural it looked in the mirror, but then I'd get a photo back and think that I looked washed out and as if I didn't put any makeup on at all. That's when I started perusing some makeup blogs and youtube videos and trying out some new products. My makeup drawer is now a collection of some higher end products (still nothing crazy) and some drug store picks. I've decided that I'd rather have a drawer full of products (high and low end) I love and use than have a ton of free gift products that I never use. 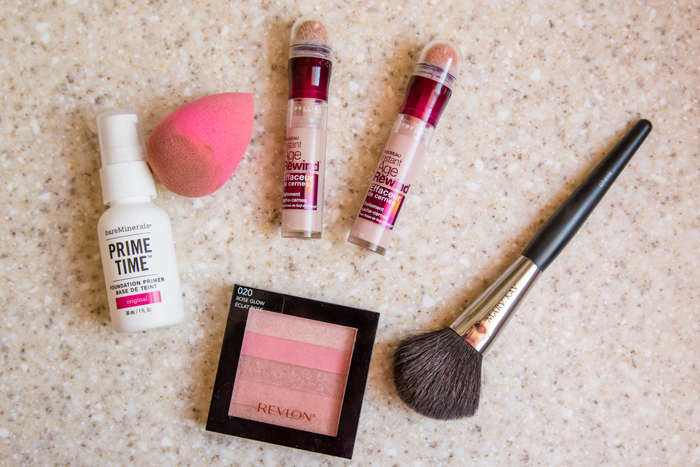 Just this past fall, I shared some of my favorite beauty products. And while many of them have stayed the same, these are the products that I've added to my almost-daily routine. Starting with the face. I am still using the Mary Kay Acne System and if anything, I've gotten better at using it twice a day. I've even started using the cleansing brush when I wash my face at night. I definitely feel that my skin has improved since using it, making it that much easier to apply makeup to. I still use this foundation, but now I use a primer first and use the beauty blender sponge to apply it. I've also started using these two concealers (first in light to cover my dark circles and then the brightener to add some highlighting). While I still use powder to set everything and a bronzer for some extra color, I find that I'm using less and less bronzer as my skin improves. I also just recently purchased this highlighting palette and love the subtle glow it gives me. Next up, the eyes! Before, I would just apply a little bit of cream eye shadow and some eyeliner While I still do that on days where I'm rushing out the door, I've added a few new products to my arsenal. The biggest thing is that I am now obsessed with mascara, this one in particular! I've also purchased some neutral eye shadow palettes to play around with when I have more time and want a more dramatic eye. 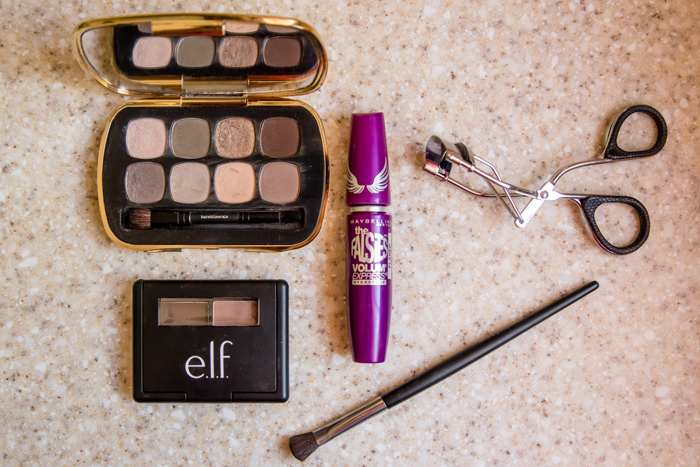 The most recent development in my eye makeup routine is this e.l.f brow kit. While my eyebrows are pretty full on their own, I find that this just gives them a little oomph. While I don't use it on a daily basis, if I'm dressing up (or taking outfit photos), I find it helps my eyes stand out even more. And now the lips! Since my last post, I've also gotten into wearing lip color more. I still wouldn't describe myself as a bold lip kind of girl, but I'm definitely branching out to wear more than just chapstick. Right now, these are my go to colors. If you have any suggestions, I'd love to hear them! And finally, the body. Now that summer is here, and more of me is showing on a daily basis, I want my skin to look it's best. I suffer from dry skin, so I've started using a body scrub in the shower a few times a week to help with exfoliating. 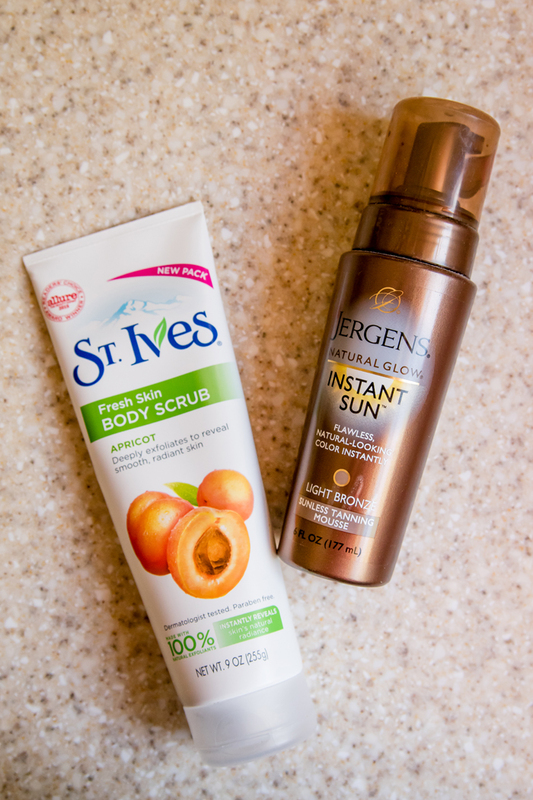 And while I will now be getting a natural tan, this sunless tanning mousse was very helpful this spring when I was pasty white! I'd love to hear what your favorite beauty products are! Any that I must try out this summer? I didn't know that there was a St. Ives Body Scrub. I use their facial scrub and have for nearly 20 years!! I need to order myself some. Thanks for the great find. I love a good face scrub and have been loving your lip colors that you wear. I am a pretty bare bones make up kind of gal mostly just wearing eye make up, especially when I have a tan in the summer. I have always been curious about wearing a bit more though. oh I didn't know st ives has a body scrub.. I've used the face scrub since the stone age. Need it! 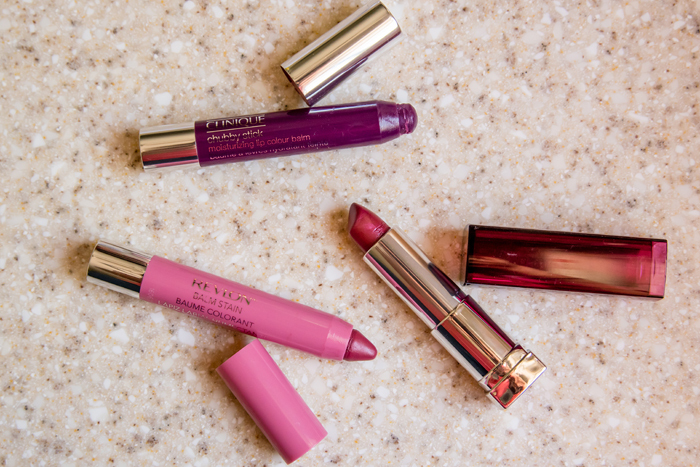 That revlon lip is pretty pretty! Someone actually asked me for makeup advice last night. I was like - me?? lol. I should send her your way! That dark circle eraser is so amazing. I started using it several months ago and I'm hooked! How do you like that makeup sponge? I've been wanting to try it. Oh i want to try that Bare Minerals eye shadow palette! Looks so pretty! Oh friend, I could have written the first paragraph of this post. I always feel like my make-up looks okay until I see pictures of myself. And then I see nothing but huge bags under my eyes and a washed out face. I’ve always struggled with make-up. Having freckles just throws another curve-ball in the whole makeup game. I have the age rewind brightener (and love it), but I need to get the concealer. I can’t wait to try some of the things you listed here. I keep hearing great things about the Age Rewind! So glad you found the ELF brow powder! I agree, it's not always an everyday thing, but it sure is nice! This is exactly how I feel too. Whenever I put on make up in the morning it is gone by the time I take a photo, or by the end of the day. I just started using the Smashbox primer and I love it. I really like the NYX (i think?) glosses. I buy them at Target and I love the colors. Im so pale but am scared to do self tanners :/ How easy is the application and does it smell funny? Im also picky lol. Have I asked you this already- do you recommend an eye cream? I tried that concealer when I was shopping around for a new one and I just didn't like it too much. I returned it after one use, but now I am thinking I should have given it more time!